Casinos generate billions of dollars a year all over the world. The amount of money spent at a casino per year is astronomical and it shows when casinos build some of the most extravagant buildings in the world. These buildings include penthouses and 5 star restaurants as well as ceilings and decorations that seemingly go on for miles. The following are some of the most extravagant casinos around the world and some could be considered some of the most extravagant buildings not just casinos in the world. 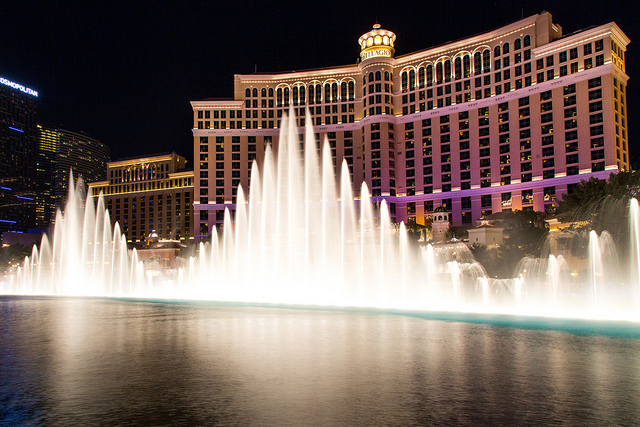 The main attraction is actually outside of the casino with the fountains that are in front of the Bellagio on the Las Vegas strip. The fountains are on a schedule and they provide a show on a schedule for all to enjoy. The casino itself has 2400 slot machines and 4 times the casino employees that a regular casino has. For this reason there are giant poker tournaments held at the Bellagio each year. Monaco is a destination for the rich and famous and their casino the Monte Carlo is no different. It is a hotspot for the rich and the very famous. The casino has marble pavement which in itself it worth a fortune. The casino also boasts some famous works of art and golden ornaments throughout the building. This casino has 4 exclusive hotels in it and it is just amazing to look at as it stands out in the plains of South Africa. The casino even has a famous water park Valley of the Waves which has a wave pool in it with artificially created waves. There is a high stakes poker room where players routinely bet small fortunes on single hands. This is a great place to take the children as they can be entertained by the water park or a myriad of other attractions. For what the Monte Carlo in Monaco is to Europe the Sands Macao is to China. Macau is not just the most popular destination to gamble in Asia but it has surpassed Las Vegas in gambling revenue in the last 10 years. The Sands Macao is a great place to take a vacation as it has great shopping as well as shows for entertainment if the poker tables aren’t too kind. There aren’t words to describe how over the top in the decadence department the Marina Bay Sands casino is. The infinity pool overlooking the city is something that everyone should take a look at. There is a theater in the casino which has high end Broadway type productions with some of theaters most famous titles. The gambling area has more than 2300 slots and 500 gaming tables. It is easy to imagine yourself staying at this casino for an extended period of time.